A little bit more than a year ago I posted a delicious recipe to make spaghetti and meatballs that had a lot of success, so much so, that many of you asked me if the meatballs had the same flavor as the ones we use in Colombia to serve for lunch with rice and avocado, or like the ones we use to make stews and soups. The easiest answer is no, mainly because they are made with ingredients that are not used much in Colombian cooking, like Parmesan cheese, basil and ground nutmeg. So, I decided to show you the simplest way I use to make meatballs that you can serve in Colombian soups or stews. The important thing is to make them with basic ingredients to give them good flavor, but also so they can absorb the flavor of the other ingredients used in any kind of soup. As you can see, the recipe is so easy to make that I am sure you already have all the ingredients at home. You can also substitute the breadcrumbs with pre-cooked cornmeal, if you don’t have them on hand. And to make them a bit more healthy, I always make them in the oven, but you can pan fry them in a large pan with a little bit of oil. In a large bowl, mix the ground beef, eggs, bread crumbs, onion, garlic, cumin, salt (about 1½ tsp) and pepper. Mix everything with your hands and slowly add ¼ cup (60 ml) of water until you get a smooth texture. If you notice that it is still a bit dry, you can add the rest of the water. 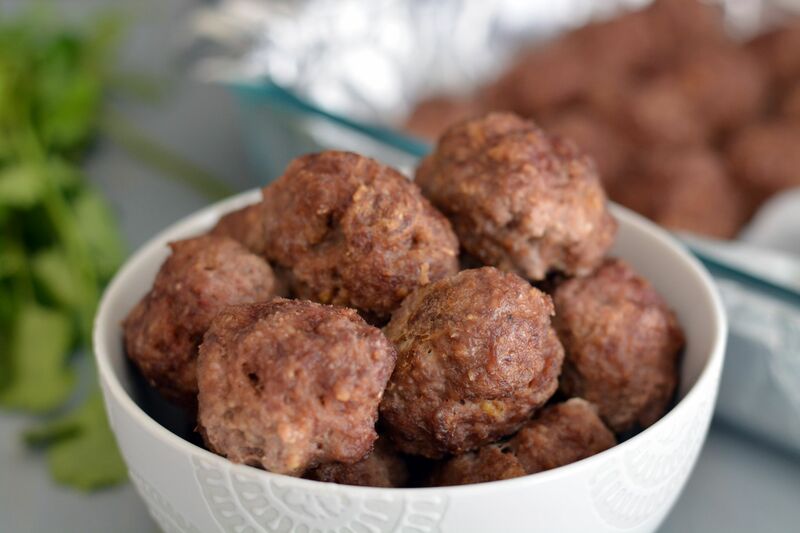 Using your hands, make 1½ inch (3,81 cm) meatballs and place them on a baking sheet or baking dish lined with aluminum foil. Bake for 20-25 minutes or until cooked through. You can also pan fry them in a little bit of oil on medium high heat for about 4-5 minutes per side. 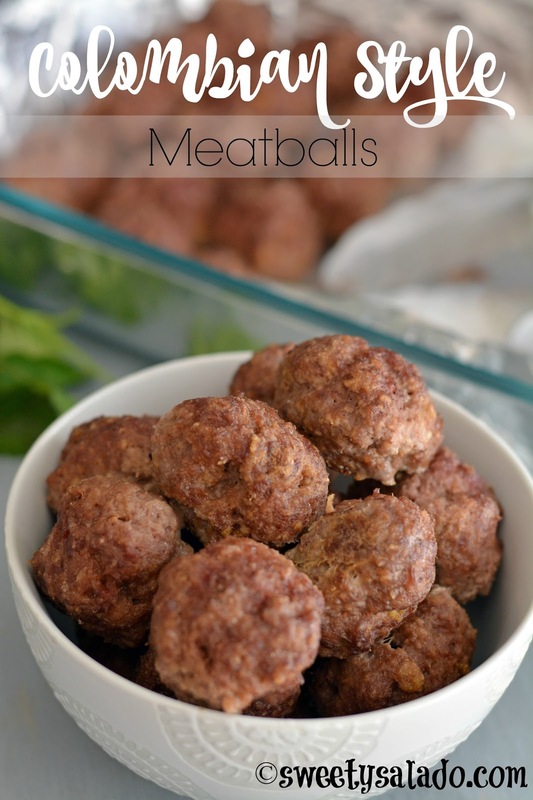 You can serve the meatballs immediately or add them to any soup or stew. If you prefer to freeze them, store them in the freezer inside a resealable bag. Hola daniela, no, lamentablemente no tengo esa receta, pero Karen, una mexicana encantadora del canal Mi Cocina Rápida, puede que sí la tenga ya sea en su canal o en su blog. Te recomiendo que la contactes para ver si ella la tiene.